There are certain things that really make me so happy I'm a girl.. heels, makeup, hair.... but nothing quite compares to the luxurious relaxing bath and body products I use when I want a nice soak in the tub. If you feel the same, my darling dolls, then I'd like to introduce you to With Love From Angela! 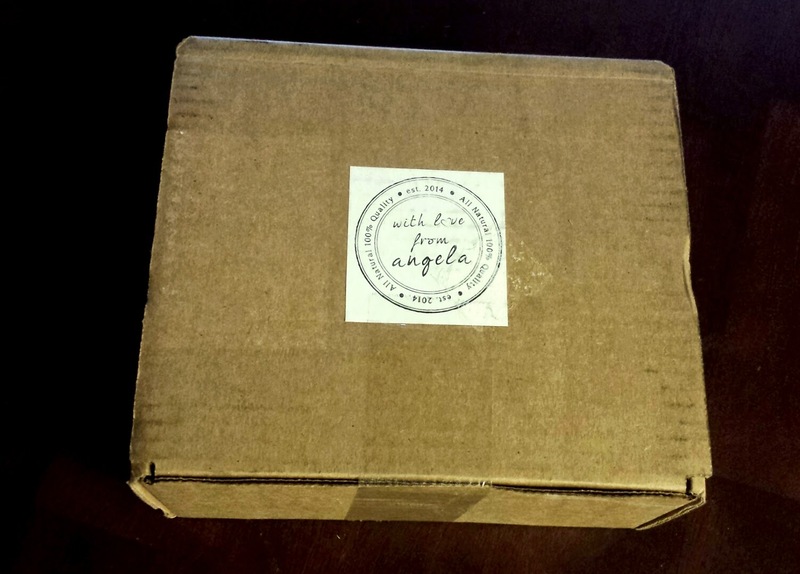 With Love From Angela, who kindly sent me this box for review, is a brand new monthly subscription box providing all natural bath and body products straight to your door! 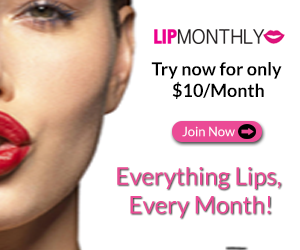 The cost is $24.99 per month and includes high quality, full sized products to pamper yourself! Sounds pretty fantastic, huh? Ya'll already know how much I like a nicely packaged box! And the absolutely heavenly aroma of French lavender hit me as soon as i opened it..... I get very happy when I smell lavender! 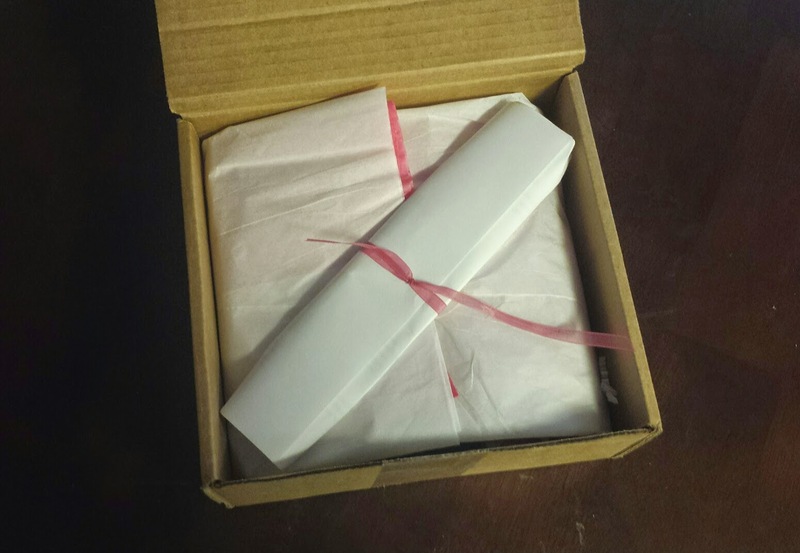 Right on top is a welcome letter that gives you a detailed description of the products included in your box. There are times when you peel back the paper for a first look and just immediately fall in love with the contents... This is one of those times! 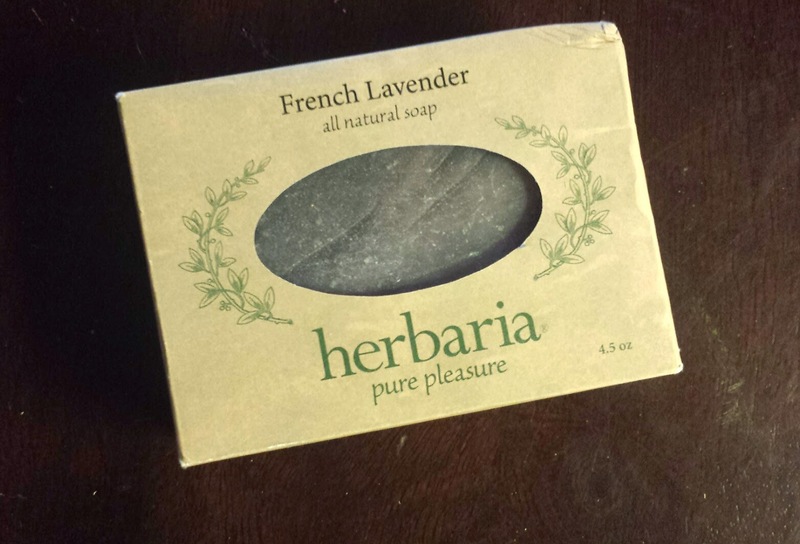 Herbaria French Lavender Soap --- The source of the fabulous aroma! Yay! This is a an all natural and hand crafted soap bar that i will be hiding so I can keep all its fabulousness to myself! It also contains sweet Almond oil that works as an emollient for super clean and soft skin. 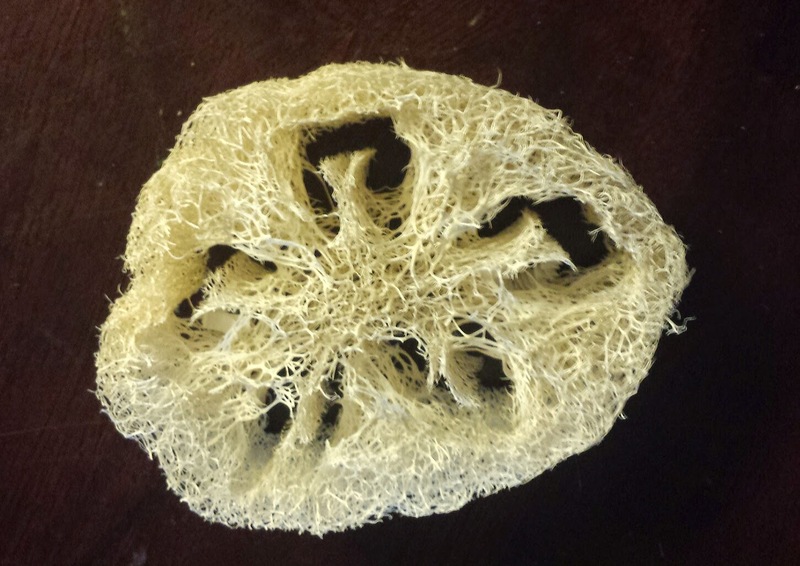 Exfoliating Loofah --- no synthetic loofah can ever compare to the real deal. They've always been my favorite exfoliation tool to use and I love the size of this one. 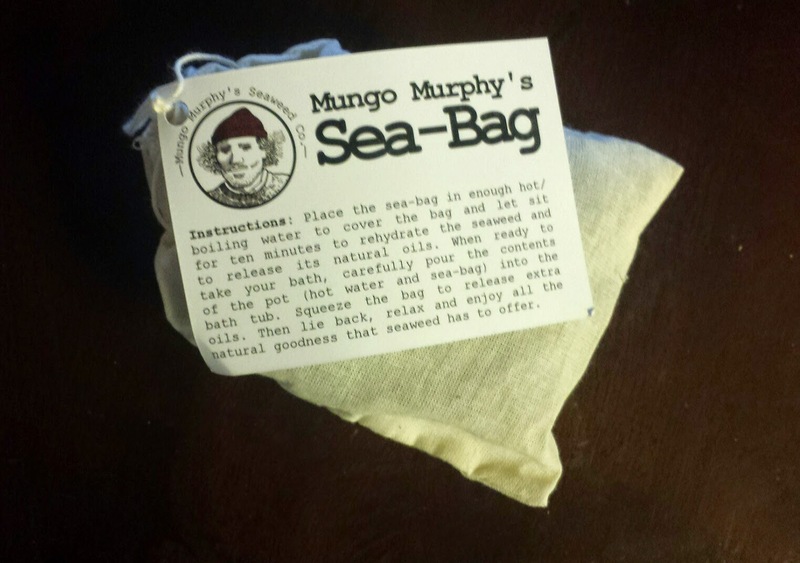 Mango Murphys Single Sea Bag --- This puzzled me at first glance but it's actually incredibly neat! It's filled with crushed Laminaria Digitata, a seaweed that grows in the Atlantic waters of Connemara. it rehydrates in warm water to release it's natural oils. It's got a ton of benefits including stimulating blood circulation, and reducing the appearance of cellulite. 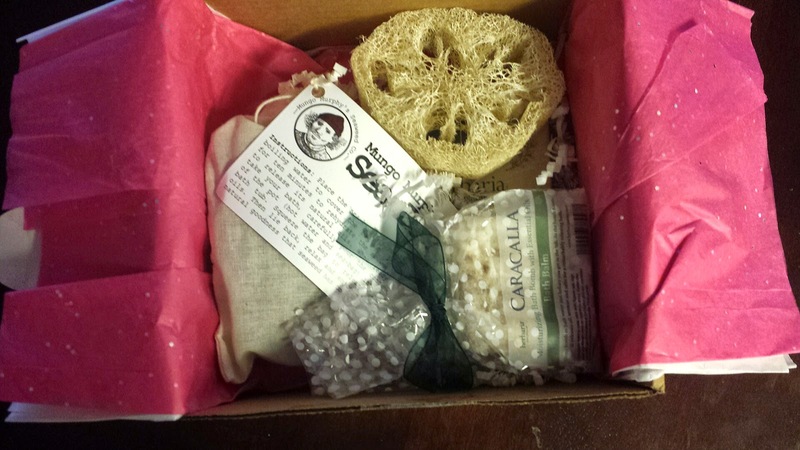 Herbaria Bath Bombs --- is it even possible to dislike a bath bomb? I'm always happy when I get them! 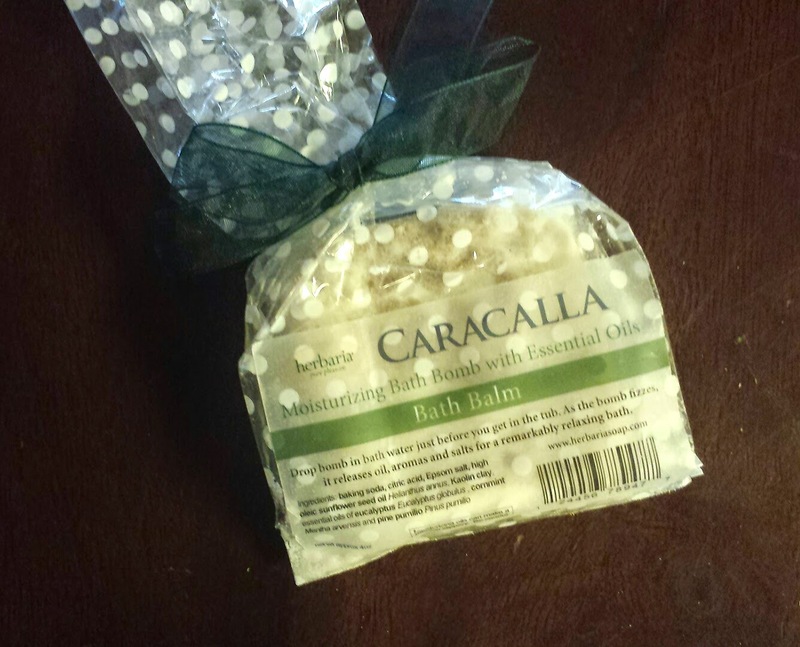 This one is infused with essential oils to soothe and relax you in the bath. 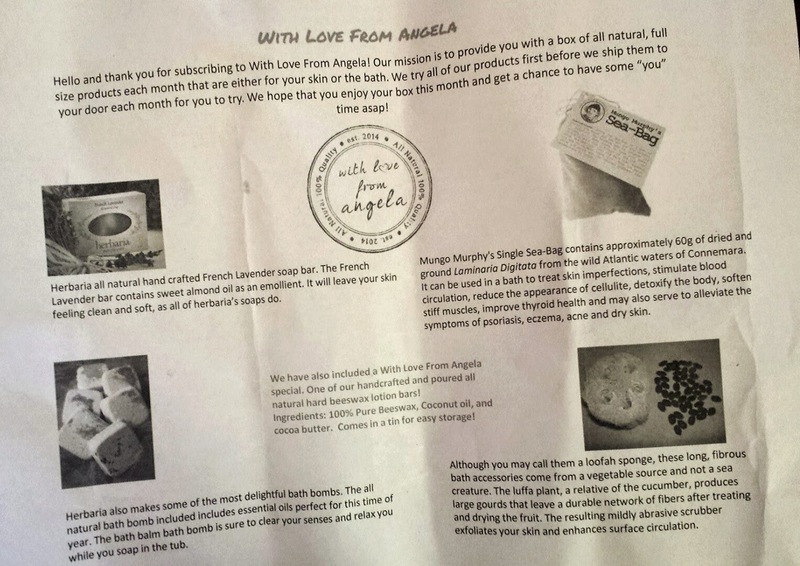 With Love From Angela Lotion Bar --- I love the little tin! 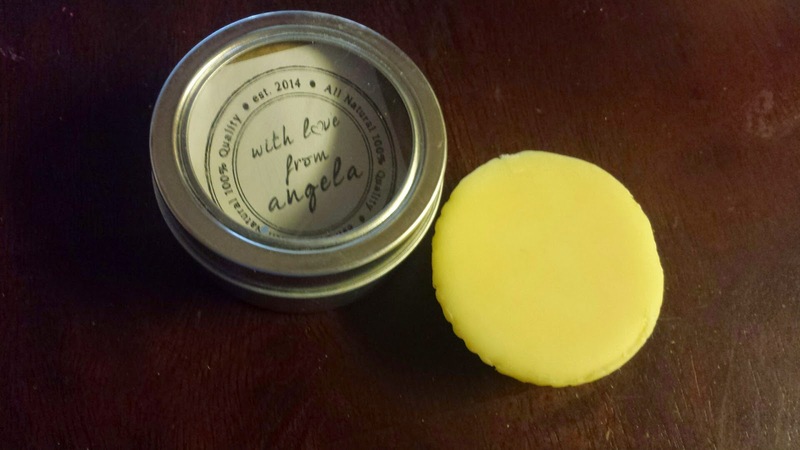 This is a handcrafted hand poured beeswax lotion bar, a With Love From Angela special! It smells divine and is made from 100% natural beeswax, coconut oil, and Cocoa butter. With Love From Angela has completely blown me away with this box! The product quality and the size of each item was enough to make me giddy. 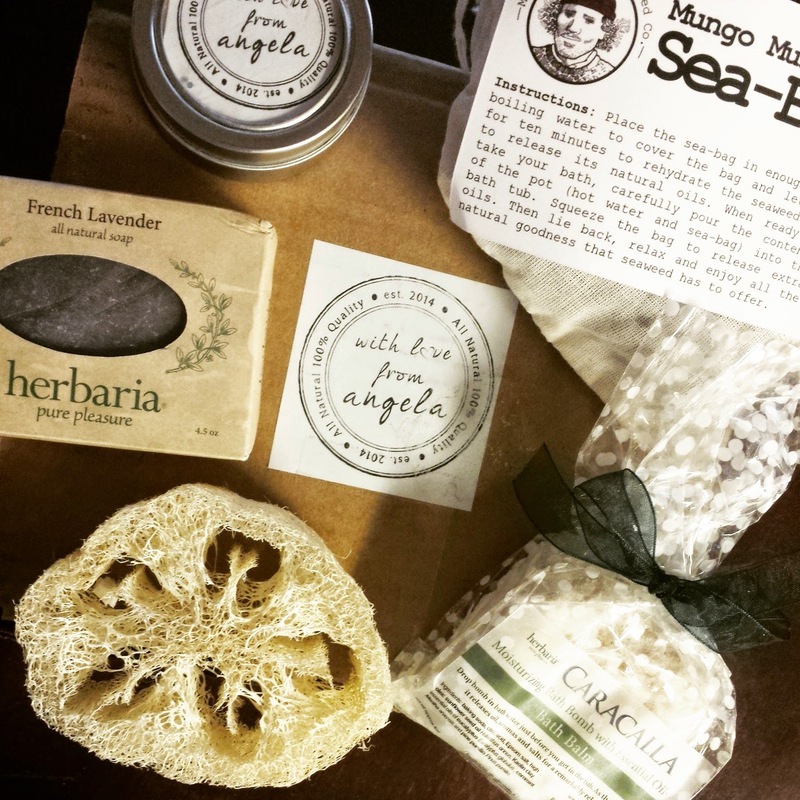 It's a luxurious combination of items that have me more than ready to relax, soak and indulge myself. Pure Bliss! What are your thoughts on With Love From Angela? 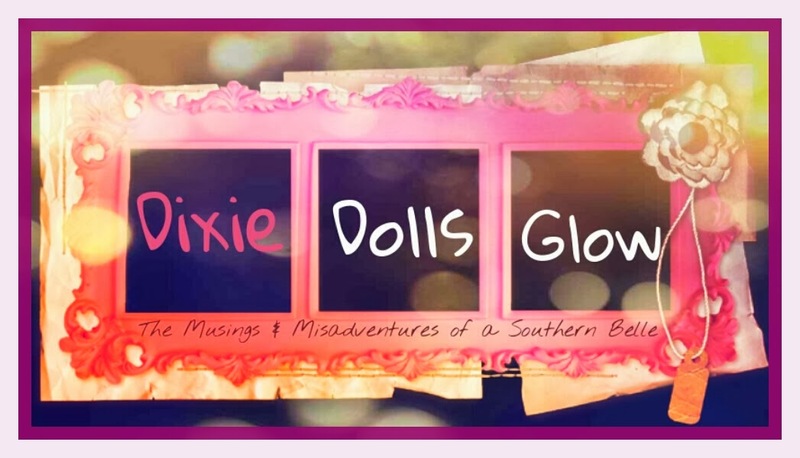 Check it out, subscribe, and prepare to be pampered! You know you deserve it! 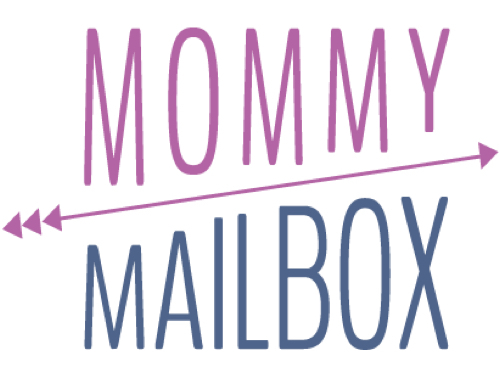 *This box was received complimentary in exchange for an unbiased honest review. All thoughts and opinions are solely my own and should be viewed as such.